Once connected this player to the HDMI interface of TV, it will transform the regular TV into a Smart TV that likes a PC. PIPO X8 is an amazing invention that combines a TV box and Windows or Android mini PC (Intel chip). 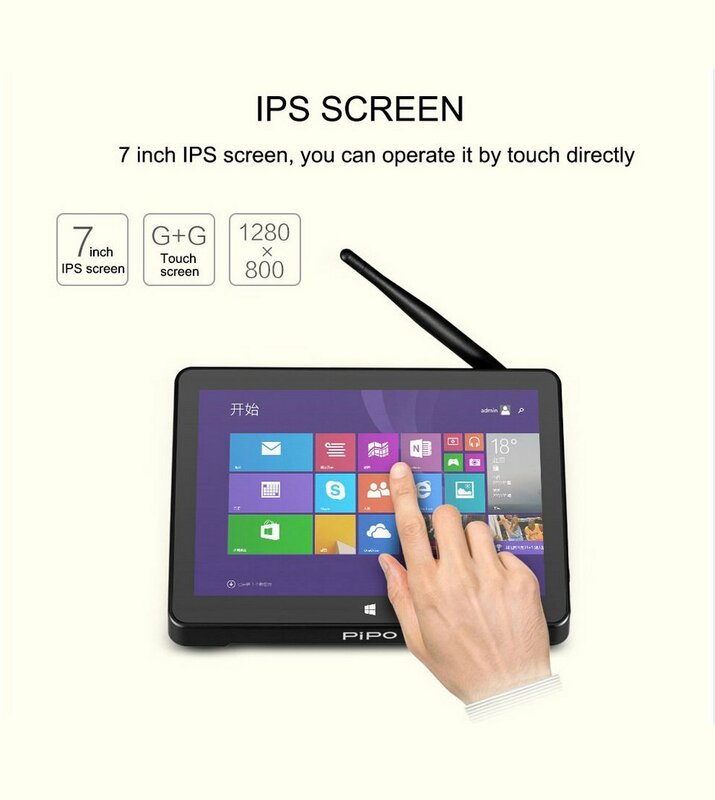 TOZO PIPO X8 not only a mini Tablet, also a Windows media box, can connect with HDTV, watching HD movie on TV Screen, make your TV to a Windows PC. TOZO PIPO X8 Dual OS Tablet also with RAM DDR3L 2 GB and ROM eMMC 32 GB, support 2.4G WiFi connection, and with Bluetooth 4.0. Comparing with Regular Laptop or Desktops, it is small, easy to carry, but have the same functions as the normal Windows Computers. TOZO PIPO X8 Dual OS Tablet comes with Microsoft Windows 8.1 and Google Android 4.4 KitKat Dual Boot OS, choose anyone you like. Rich interface: 4 x USB, Ethernet RJ45 Port, HDMI Port, TF Card Slot.